What if you were able to stay present in the midst of the turmoil of life and not only know there are possibilities abounding but have the ability to make empowered choices in the midst of feeling stretched, overwhelmed, anxious and/or stressed? Would that be of value to you? Would that be a potential game changer in your life? Often we become aware of our experience, not through what we are thinking about, but by tuning in to the sensations and feelings of our body. The challenge is that our experience is often hiding out right under our nose, while our mind is focused somewhere far away. Our mind often actively seeks to keep us from being present with our experience because it wants to keep things under control and maintain the status quo of our life. Above all, the mind wants us to survive, so it does what it can to fool us into believing that everything is okay even when we may know intuitively that it isn’t. Mindfulness isn’t about controlling the mind – we can’t – instead it is learning to practice listening with a ‘witness self’. This witness self gets very powerful cues from our body awareness. Body awareness or body mindfulness is a direct experience of what is occurring. There are five steps to help develop body mindfulness. Step 1- Identify your state of mind without judgment. There’s a little known secret to this: Ask your body what your mind won’t or can’t tell you. You do this by scanning your body for any interesting, conflicting, overbearing, or simple feelings such as ‘my chest feels tight’, ‘my head is killing me’, ‘my stomach is in knots.’ Now, replace the part of your body with ‘I’: ‘I’ feel tight, ‘I’ feel like I’m in knots’. Step 2- Allow the experience to be. After you replace the part of the body with the ‘I’ and make the above statement, what experience are you aware of? Be specific. For example, when you say, ‘I feel like I’m in knots’, what sensations or feelings do you become aware of? Does it bring up anger, sadness or frustration? Just state the feeling without a story and without judging it. Step 3- Listen to the feeling and give it voice. To add power and traction to the experience, connect to your body directly with touch. Place your hands, one on top of the other on the area of the body that you feel some communication with. This communication is often not in words, but in sensation and experience. As you learn to listen in this way, you will learn to trust these sensations. The mind may interject with doubts: ‘That’s not really your experience,’ or ‘that’s no big deal’. The mind attempts to minimize your feelings so that it can keep things the same, which is its job. Your feelings are valid regardless of the story. At the same time, you may choose to breathe in your nose and out your mouth to bring more sensory presence to the area where your hands are. Step 4- Stay present with the experience. Here is where the magic is. Present doesn’t mean you do anything. It means that you are willing to participate 100% with the sensation that you are experiencing. As you participate and embrace the sensation, your body registers that you are truly listening to what has been hidden or out of sight. There’s nothing to think about, consider, or figure out. Simply experience what is there for a moment. You may feel increased body sensations, you may FEEL MORE and/or you may feel certain emotions very present. Give yourself permission to feel whatever is. As you embrace it, the energy behind the feeling is liberated and you are not held captive by the unconscious emotion. This opens up space and new possibilities. Step 5- As energy is liberated and space opens, a shift in perception occurs. As space opens, the mind is not involved – this is a body experience. With the liberation of the energy that the body was holding on to your witness self understands the experience as wisdom. This wisdom may come in one fell swoop or in pieces over time. In this moment, your body is informing your consciousness of a more aligned reality. The awareness is real and sustainable because it is anchored to your body. You are now, authentically, no longer where you were. This new perception that is fueled now by your ‘witness’ provides an opportunity to practice new empowered choices. You can access your body mindfulness anytime, anywhere and with practice it becomes a powerful ally to your life. At the Scher Center, we offer classes in somato-respiratory integration (SRI) regularly. These classes give you tools to help you practice empowered body mindfulness. 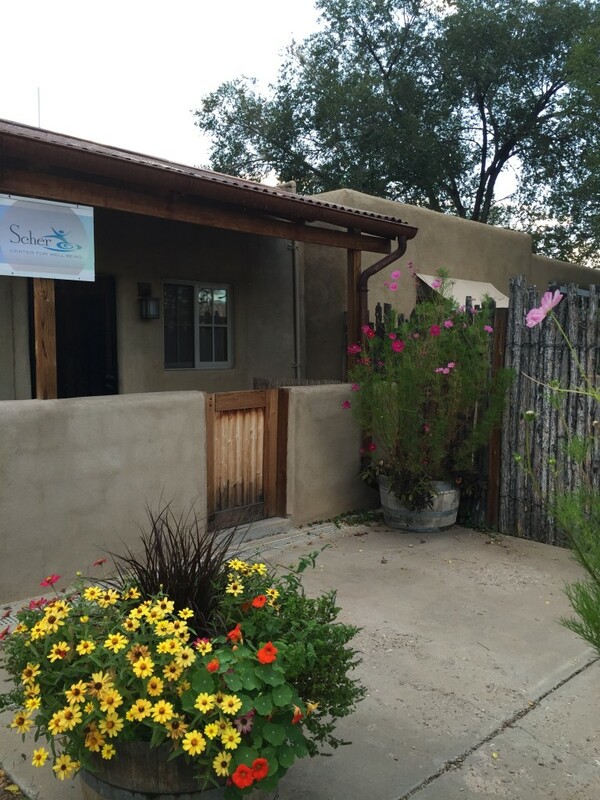 Dr. Scher will be offering a class at the Yoga festival in Santa Fe the Sat. of the last weekend of August in empowered body mindfulness. It is open to anyone. Go to the Yoga festival website to find out more information.